"Rotary Youth Leadership Awards (RYLA) is an intensive programme for young people in both physical and intellectual terms. It is open to boys and girls within the age range 15 to 17 years of age. You should enjoy participating in a team, social activities and learning the essential skills you need to survive as a leader." 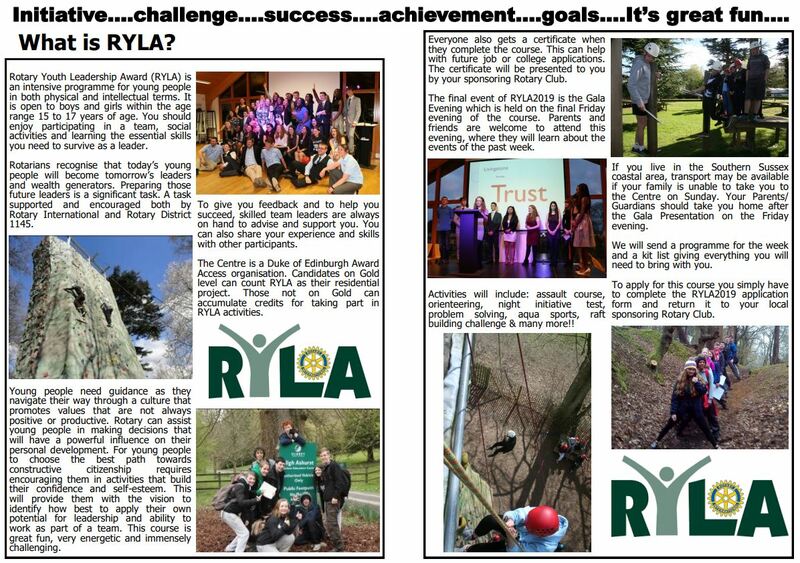 If you'd like to join a team and learn all about being a leader, you can find out more information about the RYLA in the pictures below. If this sounds like the sort of thing you'd be interested in joining, an application form can be downloaded by clicking here. 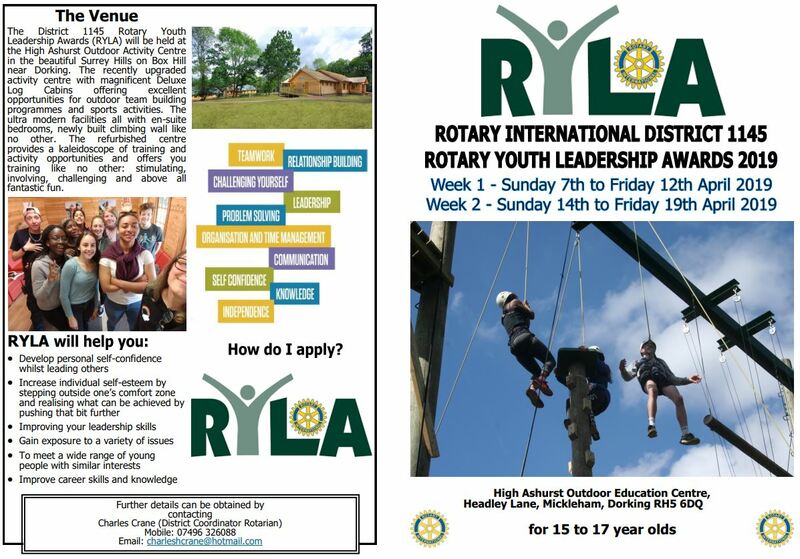 Also, click here to see the RYLA programme for 2019.